SINGAPORE — Fashion e-commerce startup Zalora has opened its doors to Southeast Asia's "first digital pop-up store." 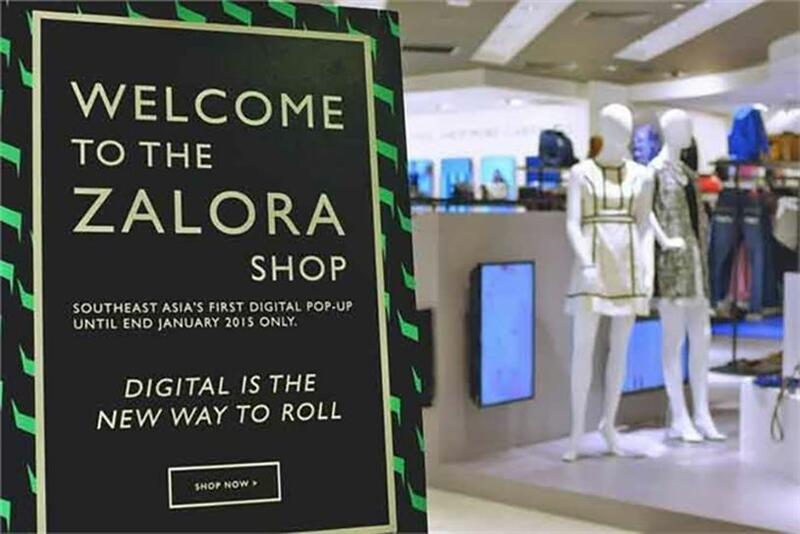 Zalora says the ‘clicks-and-mortar’ concept aims to take its shopping experience offline and into a physical retail space. Following a soft-launch earlier this month, the store has now officially opened at Singapore’s ION Orchard shopping center. Dione Song, marketing director of Zalora Singapore, said the shop was as much about raising awareness of Zalora as a brand as it was about pushing the boundaries of consumer behavior. "A physical space allows us to address challenges that shoppers might face with shopping online," she said. "Such as the inability to touch the fabrics and try on pieces for the perfect fit, while also overturning any preconceived notions about shopping online." Customers at the digital interactive shop will be able to view products in-store, try them on and then scan the barcode before processing their purchases at the self-serve checkout. The 4,000-square-foot retail space is split into four main sections — summer, work, street and party — and also has a dedicated men's section. Customers will not be leaving the shop with bags, but instead purchases will be delivered to their doorstep. Partnering with Samsung, the shop is fitted with Galaxy tablets and free WiFi so that customers can browse lookbooks for products and styling tips. Despite e-commerce growing strongly year-on-year in Singapore, Song said that Zalora sees potential opportunities in a more traditional retail environment. "The offline retail market is still a significant share of the overall retail pie, which is why we saw a lot of potential in testing out such a retail concept here," Song said. "The ION shop marks our first official foray into the offline retail space, and with its success so far, future similar projects are definitely in the pipeline." Founded in 2012, Zalora is backed by German venture fund and startup incubator Rocket Internet. The company has a presence in Singapore, Indonesia, Malaysia & Brunei, the Philippines, Thailand, Vietnam, Hong Kong and Australia and New Zealand. This story originally appeared on campaignasia.com. Creativity in Vietnam: How far has it come?